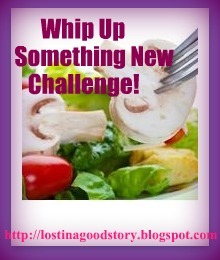 It's all about me: Foodie Challenge: Whip up something new! It seems that many of us have recipes torn out of magazines or given to us by friends, recipes that remain in the 'to-be-tried' pile way too long. After Trish posted about her new recipe scrapbook project to organise all the great recipes she's collected over the years, the comments were quickly full of similar stories - too many untried recipes floating around! Whip up something new! is a monthly challenge for the many of of us who promise ourselves that we'll try new recipes and yet we end up cooking the same old things. Although it was inspired by organising those ripped/cut out recipes, if you don't have such a pile of paper to sift through, feel free to make something from one of your cookbooks or from the hundreds of fabulous cooking blogs. The point is to try cooking new things! Each month, you are asked to make (at least) one dish from a recipe that is new to you and to blog about it, whether it was delicious or not-so-much. 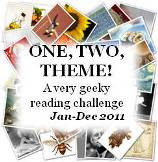 The person who is hosting the challenge that month (yes, we have a rotation going on!) will make an introductory post with the possibility of leaving a link to the new recipe posts. The host chooses how to do this and will also do a wrap-up post at the end of their month. Other than that, they can run the challenge any way they wish during the month they're hosting, including mini-challenges and related events. This post will always have a link to whoever is hosting the following month. I'll do January myself and Trish will host in February. If you're interested in being next, leave a comment and let me know! Here are some buttons for you (thanks Violet and Veens! )- feel free to use them, just make sure you link to this post so you know who the current host is! I would love to participate. I probably couldn't host March or April (I'm a tax accountant), but I could host in May. Thanks for thanking the lead on this. I'm really excited for it! Kristi - great, I'm looking forward to seeing what you whip up! :-) Thanks for volunteering to host, I'll put you down for May! Trish - I tried making one but couldn't figure it out... need help! :-) I'm excited too! I'm in, and I'll even host a month if you need me too. I'd really like to participate in this!!! I would love to join in as I now have a stack of unsused recipes that have been lurking in my kitchen. Trish had me searching them all out. Happy to host at any time. Yay Yay Yay. I'll be posting about this today - running late this morning and shouldn't be reading posts (lol). Also, I have no problem hosting. Thanks for starting it up. What a wonderful idea! I'm a long-time cook with an embarrassing pile of to-be-tried recipes. This is just the incentive I need to do something with that pile. I'll happily participate each month. I'd also be happy to host one month on my blog. March, April, June? Whatever month fits your schedule. I'm in, too, and would be happy to host a month at my Lakeside Kitchen blog. Lisa - wonderful, thanks, I'll schedule you in! Lu - get cooking then, I look forward to reading about what you whip up! Vivienne - I'll add you in as a host too then, thanks. So which recipes did you choose? christina - Great, I'll make sure you get a month to host, looking forward to your post! kristina - Yay! Can't wait to see what you make! Margot - I'll have a look at the schedule and will let you know! JoAnn - Great, I think I need to get that schedule sorted out now! BTW coincidentally Hello Japan's January mission is to try something new (Japanese) as well! Oops.. should have enclosed a link to the Hello Japan mission! gnoegnoe - thanks for that link, I'll definitely have a look! And I'll look forward to a Japanese dish in the challenge links! Violet - you're right! I looked again and there they were... changed them now, thanks! When you get the hosting schedule, could you send me the list? 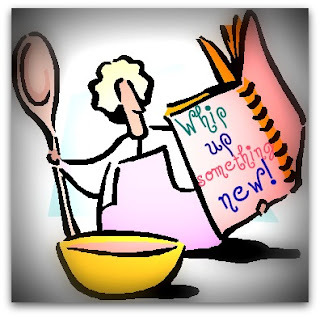 I plan to include a notice to your Whip Up Something New in my first Weekend Cooking post of every month so I can send readers to the correct link-up blog for the month. Also I included your challenge in my "Can I Challenge You?" post this past week. Thanks for hosting in Jan. If you still need hosts, I am happy to do a month. Joanna--just one small question. Could you include the permanent link for the hosts' specific link ups? This way if someone pops by they'll be able to click right over to the link up post rather than have to search for it on the other person's blog? Okay, you can put me up as a host for June!